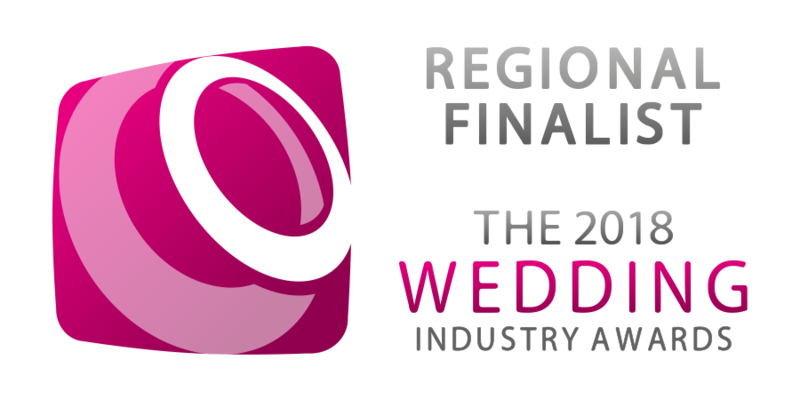 Perhaps the most significant moment of your special day is the wedding ceremony itself. 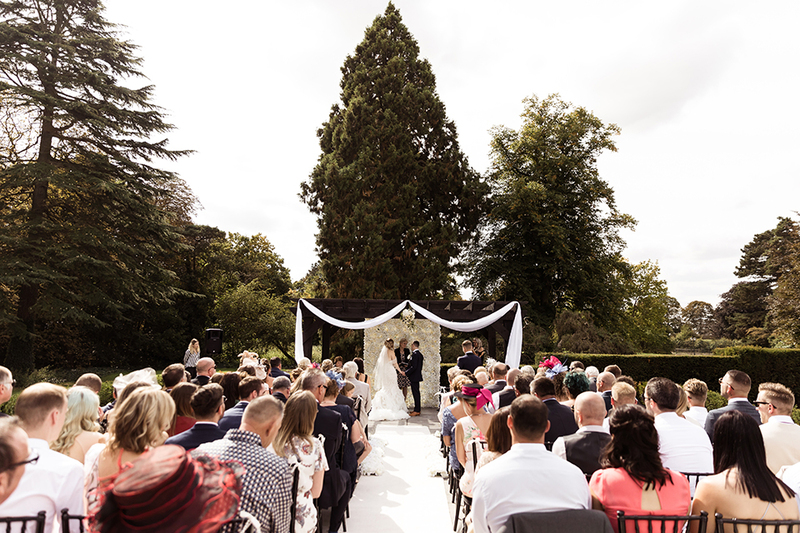 At Swynford Manor, we’re here to make sure you say ‘I do’ in the most idyllic surroundings. From outdoor romance to indoor grandeur, prepare to be inspired! If you’re dreaming of an intimate ceremony, The Study is the place. 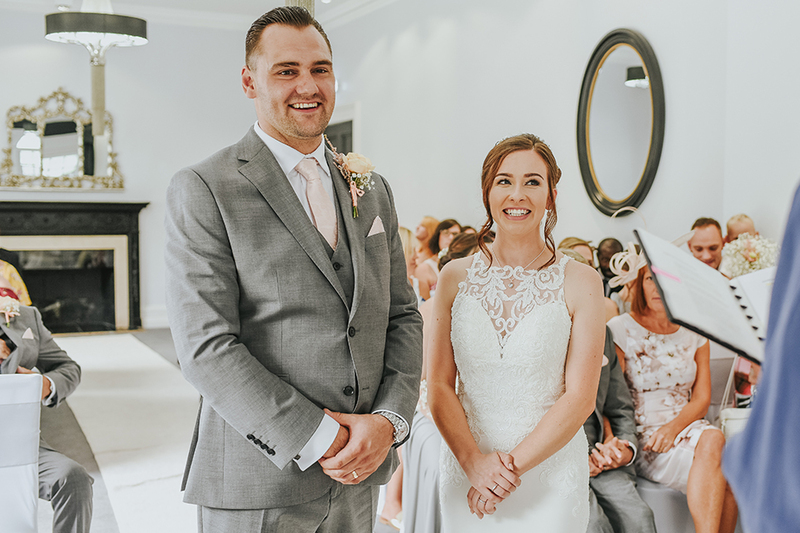 Seating up to 100 guests, it’s effortlessly stylish with its high ceilings and striking décor, and you’ll say your vows in front of a beautifully carved fireplace. Afterwards, simply step outside for welcome drinks and canapés on the terrace. 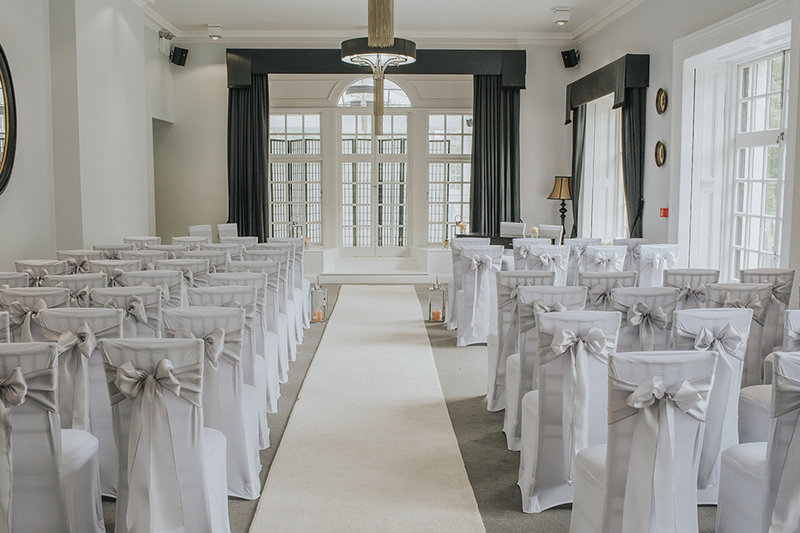 With its monochrome décor, magnificent windows and views over the picturesque grounds, The Garden Room is a truly magnificent space for your wedding ceremony. 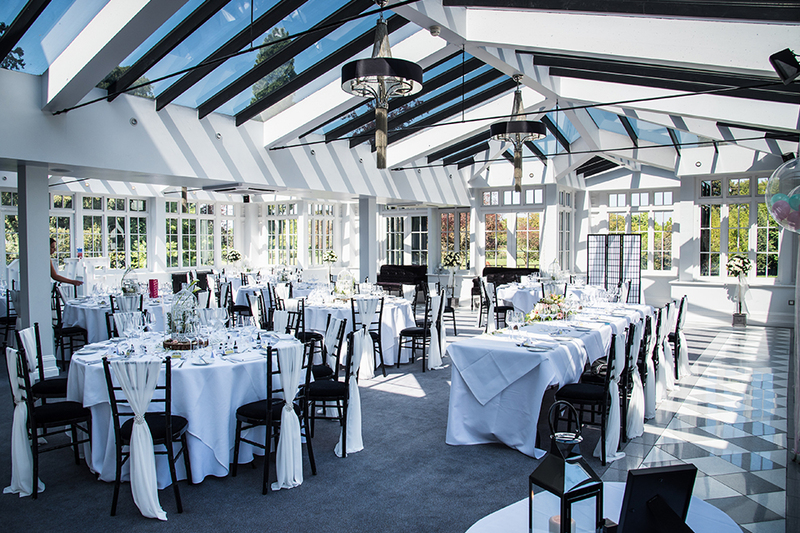 Seating up to 150 guests, it’s the perfect room for slightly larger weddings throughout the year and its monochrome style simply oozes elegance. Embrace the chic black and white or introduce a splash of colour through your flowers. Planning a summer celebration? 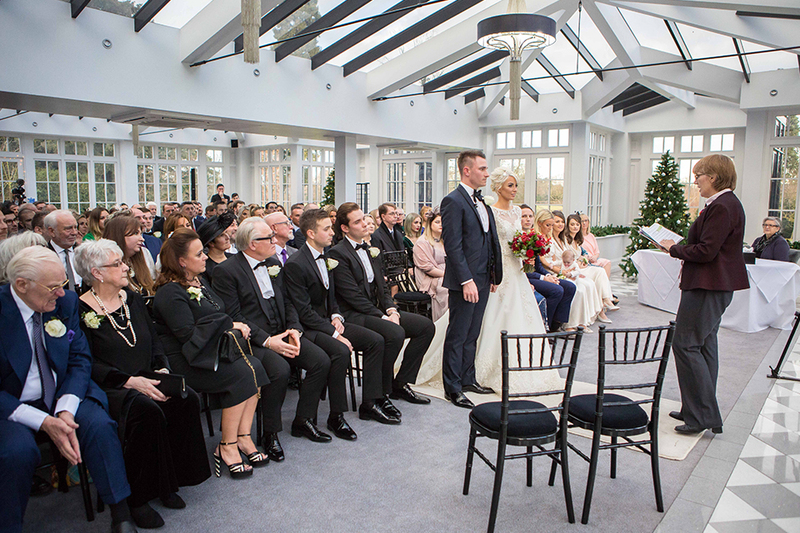 Our idyllic garden pergola is licensed for outdoor wedding ceremonies, with ample space for up to 150 guests to be seated. 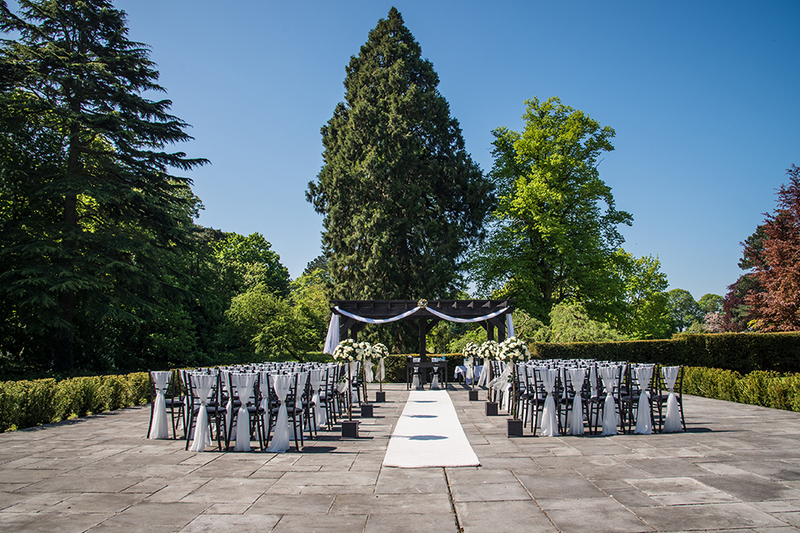 Surrounded by beautifully landscaped gardens, it’s a truly memorable space. And, you can add your own style by adorning the pergola and the aisle with your chosen flowers. Of course, if you really want to make the most of the charming Cambridgeshire countryside, why not hold some outdoor entertainment on the terrace too? 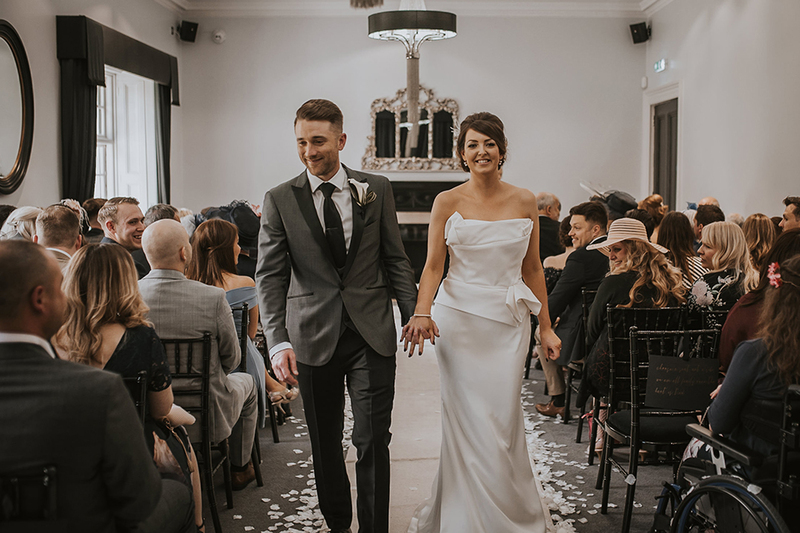 If you have yet to visit Swynford Manor or you’d like to chat to us about your wedding ceremony, simply give our friendly team a call on 01638 592609 or contact us online.